The Uncontrollable Runs finally got the feet moving on Thursday, with home runs and big at bats by all (except Megan)! 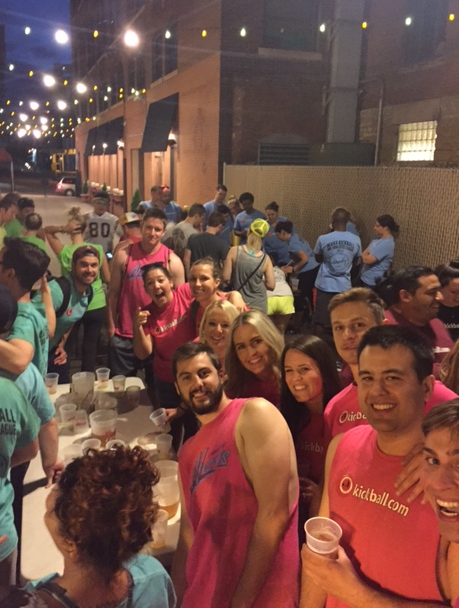 By the end of the 5th inning, the Runs had won 15-2, and scared off their opponents from going to the bar after for flip cup. MVP honors went to Sean on his slide to 3rd, while runner up Grant received multiple votes for his two "acrobatic" throw attempts for outs. Great times had by all at the bar after, especially Shannon who donned her rollerblades the whole night. Up next, a veteran's battle against Kick This.